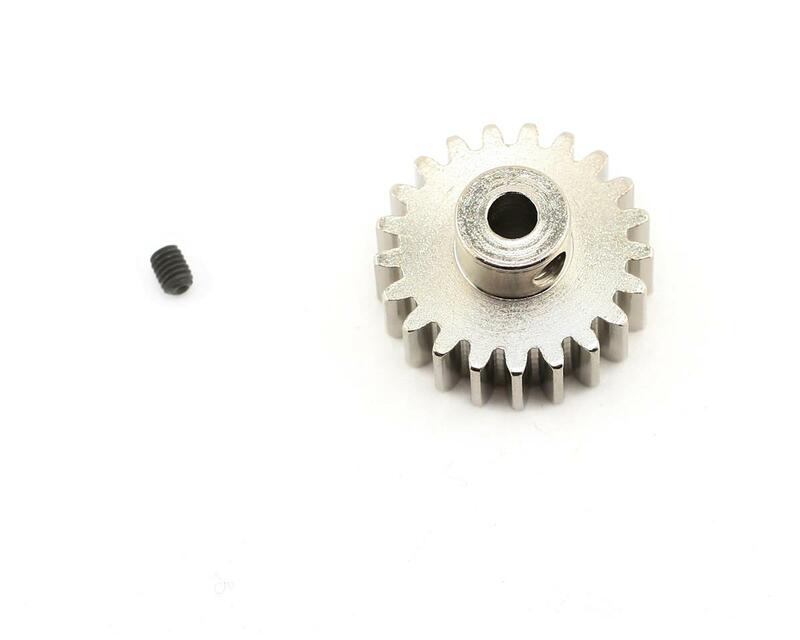 Traxxas 32 Pitch pinion gear. 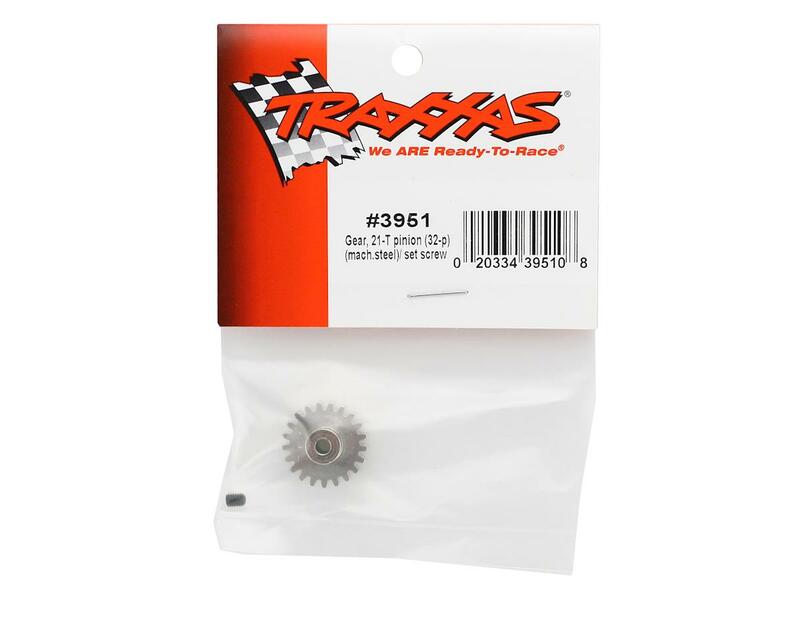 These gears are compatible with a variety of Traxxas vehicles and are available in a variety of tooth count options to fine tune torque and top speed. Package includes one gear and one set screw. Note: The Traxxas E-Maxx uses two motors, and therefore needs two pinion gears in the stock configuration.